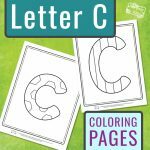 Embark on a coloring and learning adventure with these Letter A Coloring Pages. 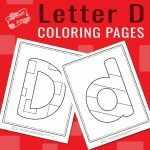 You can use these as coloring pages or you could even laminate them and use them as alphabet playdough mats. They are great for preschoolers and toddlers and can be used at home or in the classroom. 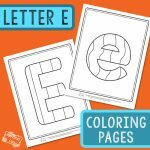 These set of coloring pages focuses on letters only, so kids will get familiar with the shape of letter A (both uppercase and lowercase) through easy coloring. Now while focusing on letters only, is great to get to know the shape of the letter without distraction, just coloring the letter outline might be dull. So we added some details inside the letter outline to make things a bit more fun. 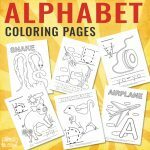 These are great to start learning the alphabet, especially if your kids are fans of coloring or love working with playdough. 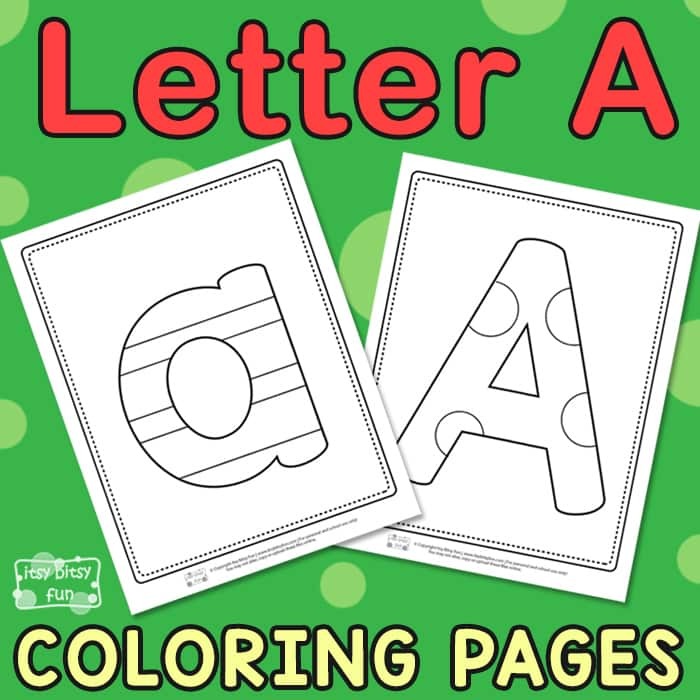 Once they are done with this letter A pack, and if they are old and skilled enough they can move on and try their hand at letter a tracing worksheets – perfect for older preschoolers and kids in kindergarten. They can also be used as alphabet posters for the classroom. So ready to give these a go? 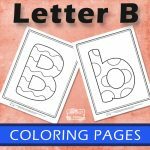 Get your Letter A Coloring Pages here. 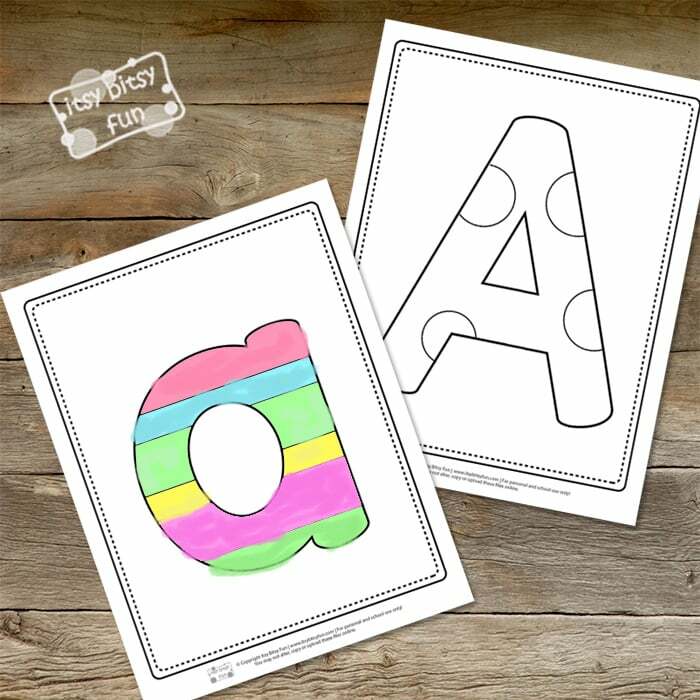 Learn to write the letters of ABC’s with Alphabet Tracing Worksheets. 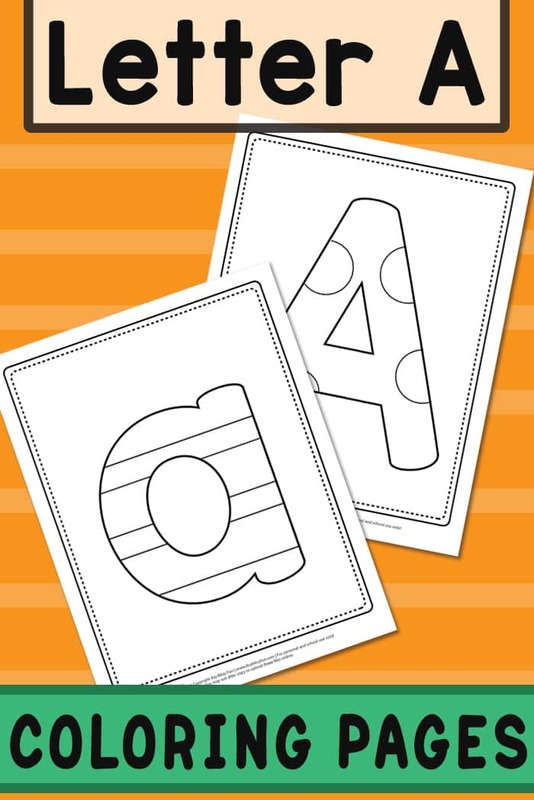 Play with our pack of ABC Flash Cards and learn the alphabet easier. Check out the Alphabet Matching Puzzles and get to know the uppercase and lowercase letters of the ABC’s.